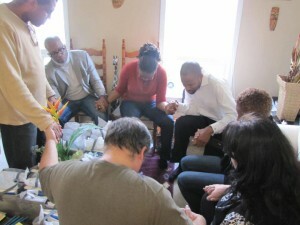 Kanisa Fellowship hosts a mid-week prayer meeting, called iPray. Many people cannot attend mid-week services at their local church due to the lack of time, or the rising cost of travel. With iPray, you can spend time praying, talking and learning from your home, office or even your car. Join our prayer calls and worship where you are. Step 1: Where Am I Calling? You are calling a free telephone conference number that is provided by Fongo, for the Greater Toronto Area in Ontario, Canada. Step 2: How Do I Connect? Once you are connected, you will hear music or the live call in session. You may exit and enter the call at any time. Step 3: How Do I Participate In The Meeting? Once on the call, Press #6 to mute your phone, as the background noise may disturb the session. You may desire to ask a question or make a comment. When speaking, press # to unmute. Don’t forget to press #6 whenever you are not speaking.